LINCOLN, Neb. -- A little boy is safe after an unexpected play date inside a claw machine. A 24-year-old woman called 911 on Monday night to say her 3-year-old son had disappeared from her Lincoln home, CBS affiliate KOLN reported. She said he had slipped out of the unlocked apartment while she was in the bathroom. At the same time, employees across the street at Madsen's Bowling & Billiards called police. 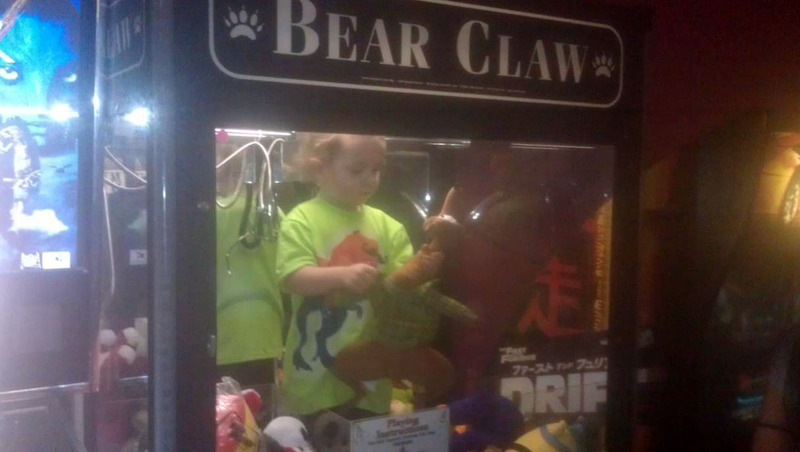 They said a customer had alerted them that a young child was stuck inside a coin-operated claw machine. Madsen's called the vending machine company and the boy was freed from the machine without any injury, KOLN reported. Police said the mother would not receive any citations because she acted quickly and appropriately as soon as she realized her son was missing and there were no indications of neglect.